Why Experts Recommend Home Buyers A Drain Survey? Buying a home is one of the greatest undertakings you will ever have to make. Forget about the tedious nature of having to look for your dream home, the paperwork and all the legal processes can all be very overwhelming. Nonetheless, they are all very necessary to both the seller and the buyer. Even though you might end up spending more on certain aspects of the house, the last thing you want is to be surprised by an emergency drainage mishap that could prove to be costly. As you well, know, a sound and properly functioning drainage is the epitome of comfort and health. If you doubt this, then you probably haven’t had drainage issues before and you should try to avoid them like a plague. In the home buying process, experts recommend that you have a proper drain survey done. It may take a while before you get the result, but you stand to benefit immensely from such an exercise. Which is why it comes highly recommended. After spending heavily on a home, the last thing you want is to dig even deeper to take care of emergency situations. 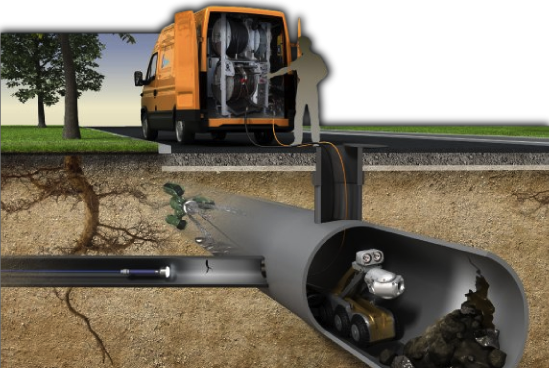 By having a thorough CCTV drain survey done, you can be able to get the important information of the state of the drainage system. Even more importantly, it is possible to tell if there are any predispositions to damage before you sign any papers. That way you avert trouble and ask for the necessary repairs to be done before you can settle on the house. After the survey is done, the company offers you with a legitimate recording of the findings. These include a printed report and a DVD Of the drainage schematics. Even though these might not seem important at the time, they can be a determining factor when filing for an insurance claim. If there are any problems with the drainage, you need to know what they are, if they are repairable and if they will be recurring. With a CCTV drainage survey, you can be able to obtain all that information. Even more importantly, it is possible for you to have an idea of the estimated cost of repair. In some cases, this might not be much which would allow you to still proceed with the purchase of the property. However, if the damage is significant and directly proportional to the cost or repair, you might want to pass on the home, or request for the repairs to be done before making any commitments. Everyone loves a good deal but, loves the opportunity of knocking a pound of the price even more. Should you notice that the drainage has issues, you can use it negotiate the price downwards. Especially when the seller is not willing to have the repairs done. But, before you do that, ensure that you have a comprehensive quote of the repair cost. It is possible that you might not consider having a drainage inspection in your list of priorities when buying a home. After all, there are plenty of other concerns and legal procedures that you need to attend to. However, if you care about the comfort of your family and their health, don’t want to have to spend on repairs that could have been done at someone else’s expense or in the least, want to sleep soundly at night, considering the services of a drainage inspection company is critical as advised by experts.